How Can I Afford Care And Services At Twin Cedars? For many people, the concern with moving into a personal care home community is how to pay for it. Twin Cedars Senior Living accepts only private payment with the assistance of Veteran’s benefits, and long term care insurance. Our Administrator can provide additional information on costs and financial options. Below are some available resources and programs to assist you in the financial planning for care and services at Twin Cedars. The Veterans' Administration offers a Special Pension Aid and Attendance benefit that is largely unknown. This benefit allows for Veterans and surviving spouses who require the regular attendance of another person to assist with bathing, dressing, meal preparation, medication monitoring or other various activities of daily living. It is available to individuals who reside in assisted living communities, personal care homes and skilled nursing facilities. Most Veterans who are in need of assistance qualify for this pension. Any War Veteran with 90 days of active duty with at least one day during active War time is eligible for this benefit. 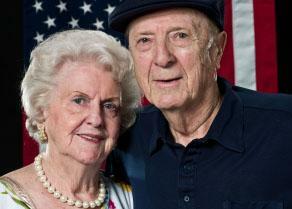 A surviving spouse of a War Veteran may be eligible if married at the time of death. The individual must qualify both medically and financially. Assets cannot exceed $80,000, however many things including their home, vehicle, annuities, pre-paid funeral expenses and many other items are not included in this number. A Veteran is eligible for up to $1,830 per month, while a surviving spouse is eligible for up to $1,176 per month. A couple is eligible for up to $2,169 per month. For further information regarding financial qualifications, consider seeking the professional advice of an attorney or financial planner. There are two ways to apply for the Aid and Attendance benefit. Twin Cedars will refer you to a professional who will complete the documentation for you, or you may also apply by contacting your Regional Veteran's Administration Office. To locate the closest regional office to you, visit the VA web site. Once you apply, the average processing time is about 3-6 months depending upon the accuracy of the initial application. However, the VA does pay retroactively from the date of application. The resident is paid directly from the VA. Long-term care insurance is another great way to pay for care at Twin Cedar’s. This type of insurance will pay for some or all of your care depending upon the benefit amount and the setting. Many newer policies feature endorsements to cover costs of a personal care home and assisted living. The Health Insurance Portability and Accountability Act of 1996, or HIPAA, gives some federal income tax advantages to people who buy certain long-term care insurance policies. These Tax-qualified policies offer deduction of premiums, and other benefits. Many seniors opt to purchase a policy with a benefit amount that covers a portion of the expected monthly costs so as to hedge their expected use. Seniors who purchase these policies early will pay dramatically lower premiums than those who wait until they are 60 or older. 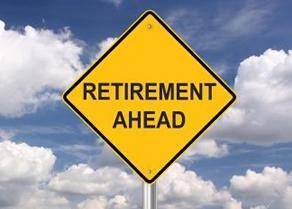 Twin Cedar’s monthly statements can be submitted to long term care insurance companies for re-imbursement. 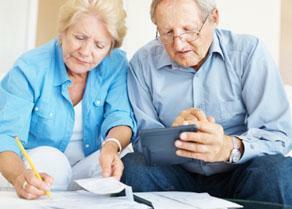 A reverse mortgage is a home loan taken against the equity one has amassed in their home. Unlike conventional mortgages or home equity loans, the FHA/HUD HECM reverse mortgage currently allows homeowners over the age of 62 to borrow some of their home equity with no income or credit score requirement and never have to repay it as long as one of the borrowers resides in the home. Eligible properties are 1-4 family homes, FHA approved Condominiums and PUD's. These loans are very safe, as there is no personal liability. The most one can ever owe is the appraised value of the home when the last borrower permanently leaves the home. In order to assure that homeowners are doing the right thing, FHA requires that borrowers attend a "Counseling" session with an FHA approved counselor before they can apply for a HECM reverse mortgage. You or your loved one’s care at Twin Cedars might be eligible for certain deductions on your federal tax return, depending on the level of care you will be receiving. The IRS allows deductions for the cost of housing and meals if you are receiving long-term care in an assisted living facility or personal care home due to chronic illness or the inability to live alone. Twin Cedars recommends that you consult with your accountant to see if you may qualify for this deduction.